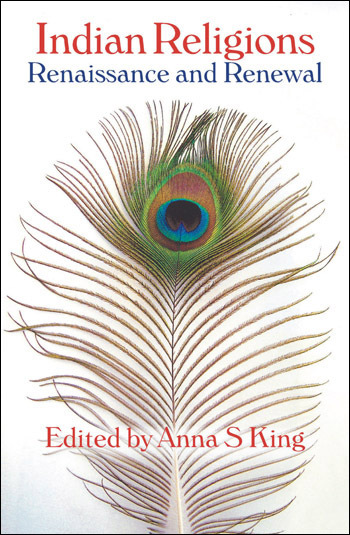 Indian Religions: Renaissance and Renewal, the latest collection of Spalding papers, celebrates the work of Ninian Smart in bringing together papers by some of the most eminent scholars within this field. The papers are concerned with cultural, religious, political or textual exchange and encounter, and therefore in concepts of rupture, revival, restoration, reformation and reformulation. The title of this book comes directly from Professor Klaus Klostermaier's paper which argues that the real Hindu Renaissance is happening now. However, the title also embraces the contemporary problematic of the study of Indian religions. There cannot ever have been a time when the scholarly study of Indic religions has been under such scrutiny or more politically, culturally and religiously sensitive. The papers in section one urge a major rethinking of academic paradigms. The papers in the second section focus on texts, contexts and ways of understanding. Vastly different in style, period and approach, they nevertheless cumulatively develop sensitivity to textual continuities, to the purposes of commentators and the contemporary creative reinterpretation of texts and their application to real life. The third section is concerned with cultural and religious encounter and exchange, transformation, restoration, revival and reformation. The fourth section is concerned with the performative, experiential and expressive. There are papers on the Hindu imagination and imaginary Hinduisms; religion, the media and a multi-modal future; ritual performance and gender; art and the aesthetic imagination.